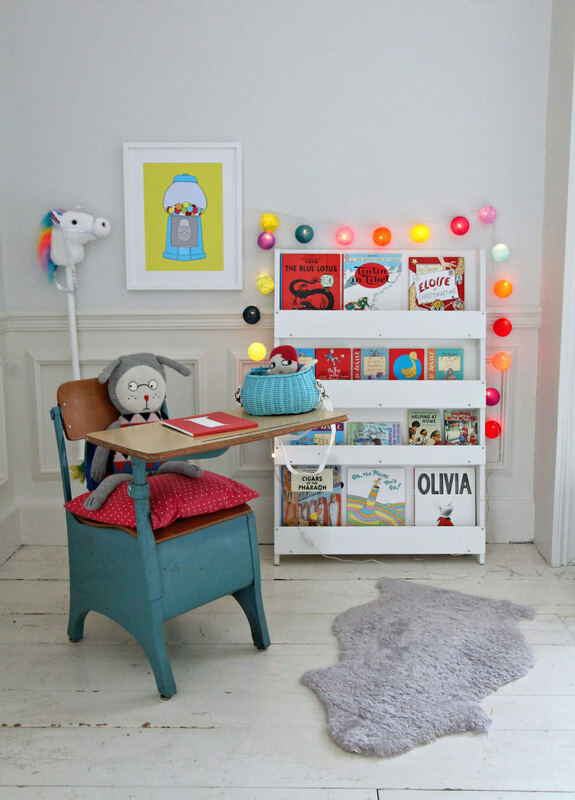 How to decorate a child’s reading corner without holes in the wall. I’ve always wanted to create a child’s reading corner, so I thought I’d style one up using some of my son’s old furniture from storage. Here is my transformed kid’s corner. What do you think? I’ve used a variety of Command products to help me with my wall styling. I love it that I don’t need a hammer or nails to put up the art prints, and even better, there will never be any unsightly holes left on the wall. Image 5+6 : All about removal of the strips. After removing the frame ( remember to remove by grabbing the bottom corners and peeling the frame up and away from the wall rather than pulling straight off), you can then remove the strips. Never pull the strips towards you or peel from the wall. Always pull the strip straight down, keeping your hand against the wall as you go. Keep stretching up to 15 inches and the strip will just naturally pop off. The last image shows you what is happening behind the strip. I was also excited to learn that Command now has a new product on the market called the Broom Gripper. 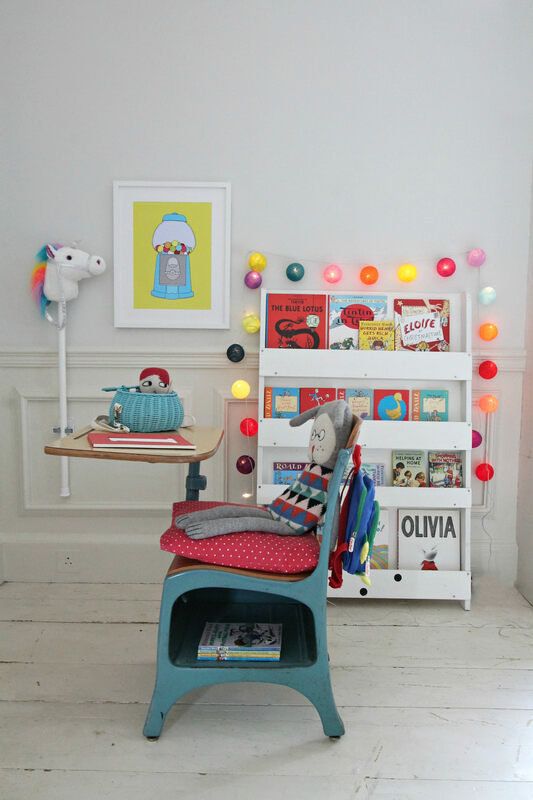 I’ve used the Broom Gripper to hold up a toy hobby horse in my child’s reading corner. The Command Broom Gripper is a great idea for keeping the kitchen and utility room tidy. There’ll be no more of tripping over brooms on floors. To add a punch of colour to the reading corner, I’ve decided to drape a string of colourful lantern ball lights around the book shelf. To stop the string lights from sliding, I’ve used Command Clear Decorating Clips to hold them in place. However, Command aren’t just for walls. I’ve also used a Medium Clear Hook to hold up a mini rucksack at the back of this wooden chair. These hooks are great for hanging up coats behind doors. So there you have it, my kid’s reading nook. How do you like it? My cute Gumball sweets art print is by James Taylor Photo Art. I love how easy it is to style and put things up without damaging the walls with holes. I will be back with another styling in this very same corner, using more Command products soon. Can’t wait to show you. Have a lovely week. ( All photography and styling are by Geraldine Tan, editor of Little Big Bell. this is a sponsored collaboration with Command).